Our Green School Committee are busy preparing to apply for their 7th Green Flag on the theme of Global Citizenship. From classroom inspections, weekly clean ups, changes to school practice regarding recycling lunches, Multi Cultural Days and so much more the team will ensure that we are all good civic and upstanding Global Citizens. 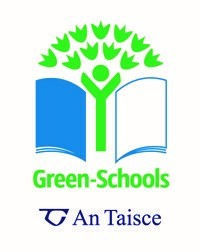 Our inspection from An Taisce will take place on Feb 27th. Best of luck.